During the course of PhD (GI Surgery) at the Department of Liver and Gastrointestinal Surgery, AIIMS: Managed both In and Outpatients coming to the Department of Gastrointestinal Surgery, Worked as a Senior resident in the Department for 3 years. At the Department of GI Surgery, PSRI, New Delhi: I have established the Department of GI Surgery at this hospital. I have performed approx. 1000 operations related to liver and Gastrointestinal Surgery including Laparoscopic surgery. 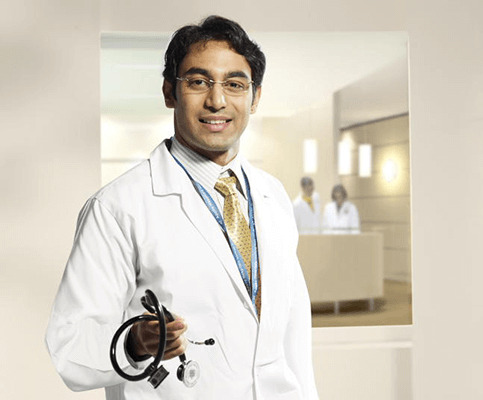 At the Department of Surgical Gastroenterology, Indraprastha Apollo Hospital, New Delhi: The Department is an active GI surgical unit dealing with complicated GI Surgical cases. Actively participating in the living related liver transplants being done at our hospital since 15/9/06. Participated in transplants along with the present team. Served as the Convenor of the “Delhi GI Surgeons club” organizing clinical meetings regularly in different departments of surgical Gastroenterology in Delhi. I was the convener since 1999 till 2008. Lower Gastrointestinalhaemorrhage” Govil D, Sahni P. In ‘G.I. Surgery Annual’ , Volume 1, 1994,“ed Dr TK Chattopadhyay. Indian association of surgical gastroenterology:93-103.